One of the tedious tasks in quality book layout is ensuring that small caps are applied instead of all caps. Style Utilities has an advanced function for solving this issue, but we offer here a simpler script which might help for certain cases. Why not use GREP styles? A GREP style to apply small caps can help in some cases (and you can read more about this approach on InDesign Secrets), but there’s a number of problems with that approach. The biggest problem, is it does not work for fonts which don’t have true OpenType small caps. Of course, it’s only a solution for users of InDesign CS3 or later, and too many GREP styles also adversely affect performance. This script searches your document for all caps text and converts it to lowercase and applies small caps to the text. Additionally it creates a character style which you can adjust to fine-tune the results. InDesign offers incredible undo support. 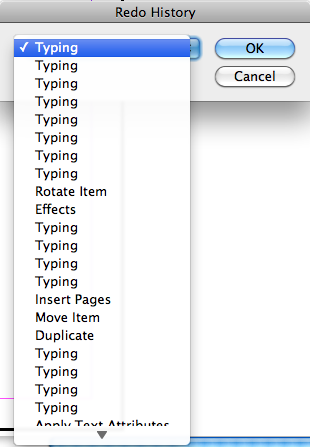 The number of undos available in InDesign are virtually limitless! However, it can be very tedious to undo multiple times. It’s also error-prone because you can undo too much by mistake if you are doing it many times in quick succession. While there are other products out there which offer multiple undo in different ways, we have found these simple scripts to be very useful. 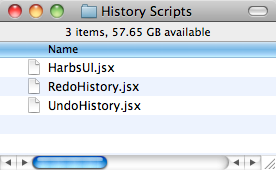 The History Scripts can be downloaded from here. You can even use keyboard navigation to open the drop-down and select the correct history position to revert to. A particularly effective way of using these scripts is by assigning keyboard shortcuts to them to access the dialogs very easily. You might even want to assign the default undo and redo shortcuts. When publishing books with facing pages and bleeds, there is sometimes where you’ll need pages to have an inner bleed, but you don’t want pages to bleed onto one another (because they might have different images. One particularly blatant example of this is when publishing spiral bound books. This situation is a bit of a pain to set up correctly in InDesign, and there has been numerous discussions on various forums how to deal with this problem. One such discussion took place on InDesign Secrets some years back. We wrote a script back then to deal with this problem, and the script has been quite popular for many years. You can download the script from here. There’s a relatively common problem where the last line of a paragraph can get inexplicably spaced differently than the rest of the paragraph. 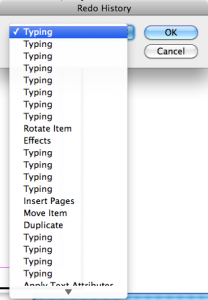 For a full explanation please refer to this great post on InDesign Secrets. We wrote this simple script to fix the cause for these “rogue line spacings”. Basically, what the script does is makes the leading of the paragraph return equal to the text before it.